Loved by Marathon owners across the board, folks like Bob and Muriel and Gary and Alice say it’s a must-stop shop. We’re told it doesn’t even matter that there’s no big rig parking at this unique shop because the food is that good. Classified as one of the all-time classic food stores in Texas, Rustlin Rob’s carries meat glazes, rubs, BBQ sauces, hot sauces, hot salsas, picked quail eggs, honey butter, fudge, jams, jellies, pasta sauce, pestos, dips, crackers, bread mixes, beans and so much more. See their website here. The Victorian Café: Bend, Ore.
Another Gary and Alice favorite is just a hop, skip and jump from their home base in Oregon. The Victorian Café was voted #1 breakfast in Bend, Ore. 15 times and just received the Best Brunch in Bend award. We’re told “It has only a little parking for cars, but it has a lock on the most fantastic Eggs Benedict on the planet.” Learn more about them here. Lambert’s Café: Sikeston and Ozark, Mo. and Foley, Ala.
Relocated from southeast Missouri to our little oasis in Oregon, one of Marathon’s own tells us that Lambert’s Café is loved by locals and tourists alike. Known for its down home food, generous portions and its “throwed” rolls, Lambert’s provides not only a hearty meal, but also an experience. Servers, some with a history of pitching baseball, throw steaming hot, buttery rolls across the restaurant to waiting patrons. Although this is reason enough to stop, it gets better. Be sure to come hungry because not only does your meal come with a generous main course and two or three sides, and we do mean generous, it also comes with unlimited “pass arounds.” Servers come to your table with pots and kettles to serve the likes of macaroni and tomatoes, fried potatoes and onions, black-eyed peas, fried okra, apple butter and hot rolls and sorghum. Our assistant marketing manager endorses the chef salad in a bread bowl she claims is as big as her head. She also recommends the from-scratch chicken and dumplings as well as the fried catfish. However, with offerings such as ribeye steak, meatloaf, BBQ pulled pork sandwich and hog jowl, you really can’t go wrong. One word of warning, they don’t take credit or debit cards; they do, however, accept checks and cash. Learn more about Lambert’s here. Of course, if you find yourself headed toward St. Louis from their original location in Sikeston, MO, a trip to Imo’s Pizza and Ted Drewes is in order. Neither of the places is big rig friendly, however, the food is worth the trouble of the tow vehicle. As soon as we hit the “send” button on an email to a few of our more food-oriented clients, we received an instantaneous reply touting La Fogata. Found in the charming city of San Antonio, we’re told they’re famous for rellenos; however, with a website boasting over 1,650,000 margaritas served, we think they may be famous for a little something else as well. You can learn more here. If you’re seeking fried chicken, Marathon coach owners Bob and Muriel recommend Foster Farms. Located at 221 Stefani Ave. in Livingston, Calif., we’re told the best coach parking is just off highway 99. There’s no reason to worry if you find yourself traveling with someone a less than enthusiastic about poultry as the Foster Farms restaurant actually has a very diverse menu. See reviews here. 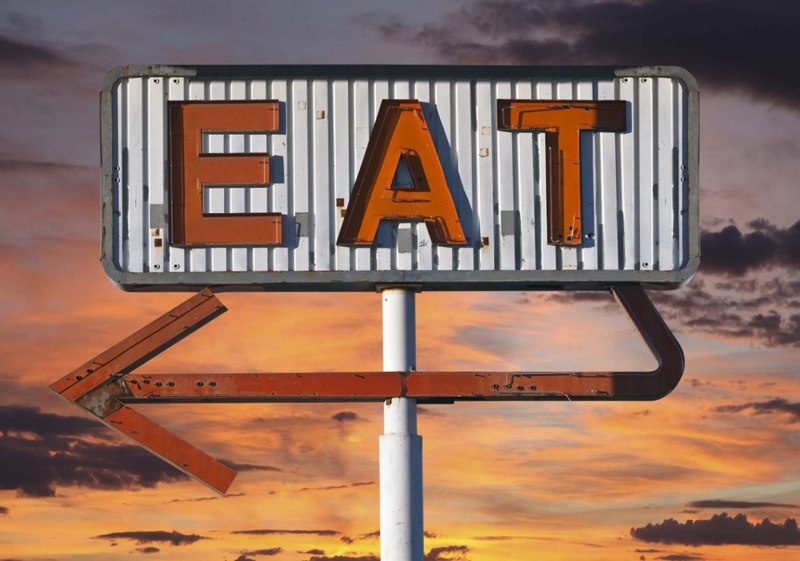 Have a favorite food stop along the highways and byways of America? Be sure to share in the blog comment section, Facebook, Twitter, Pinterest or Google+.